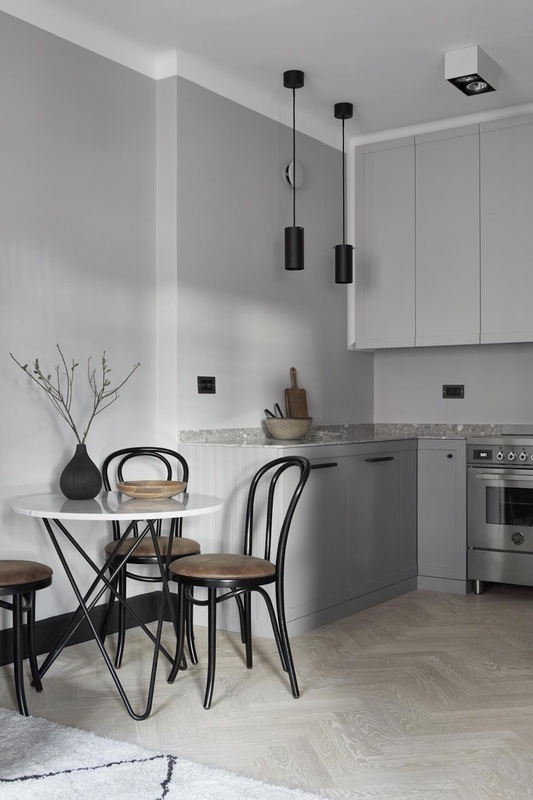 This kitchen in a Swedish flat has been finished in multiple shades of grey. 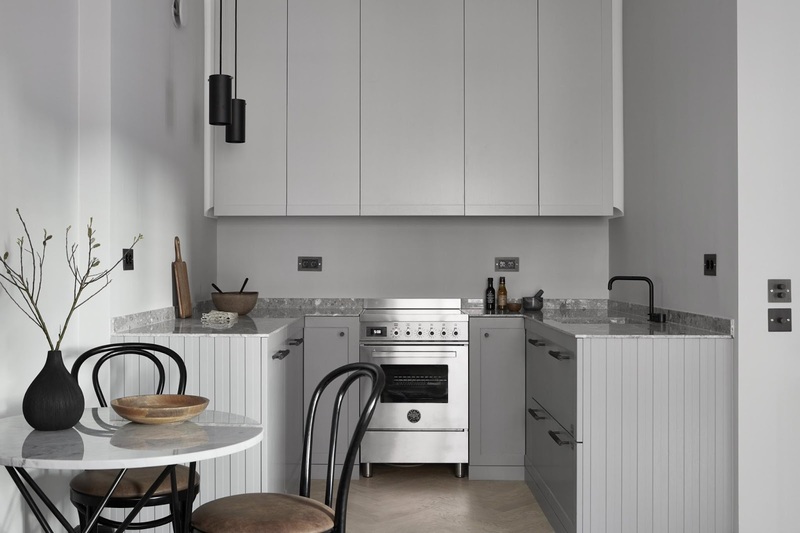 The worktop, upper cabinets, lowers and steel appliances give multifaceted shades of this cool neutral and keep it interesting while monochrome. 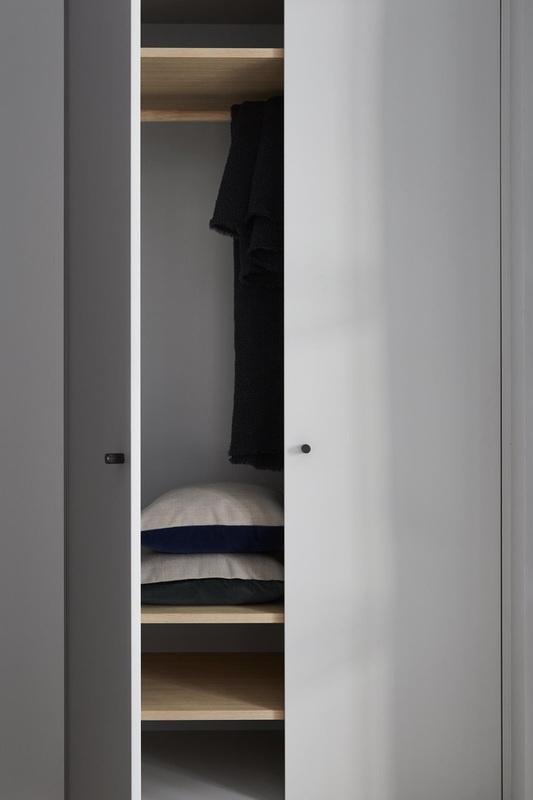 I also love super sleek storage like the closet below!